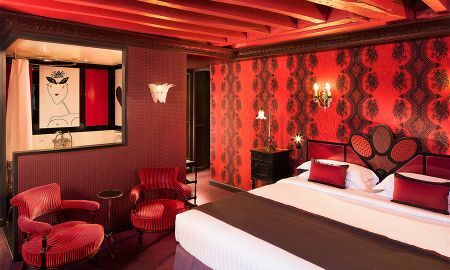 The hôtel Les Dames du Panthéon is a charming four-star hotel located in Paris. 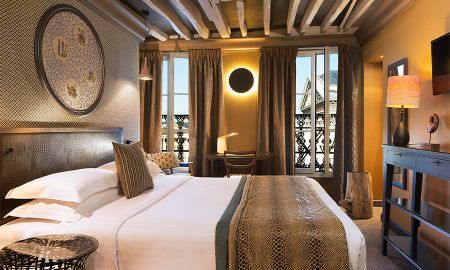 It was completely refurbished and decorated by Valérie Manoïl, an architect and interior designer. 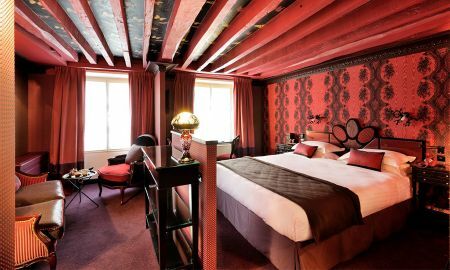 The hôtel Les Dames du Panthéon has 35 elegant and original rooms which boast a modern style and antique furniture. 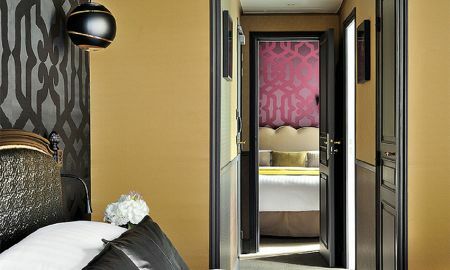 These spacious rooms are located on the 6th floor and are equipped with all necessary amenities to let guests experience romantic moments. Some of them offer a stunning view over the Pantheon. 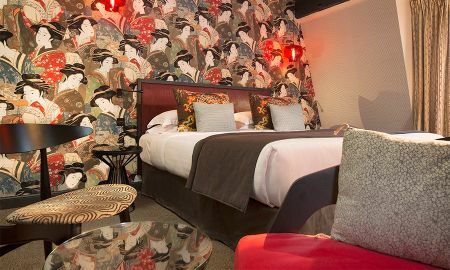 The hôtel Les Dames du Panthéon is situated in the heart of the Latin Quarter in the 5th district of Paris, near the Jardin du Luxembourg. 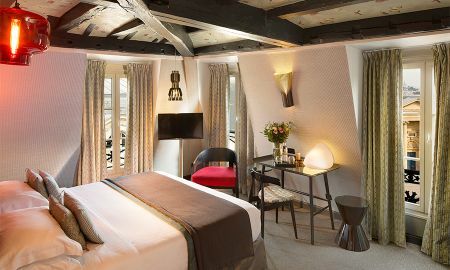 The hotel is situated opposite to the Pantheon.